Make your dreams come true with this gorgeous Sparkling Dorado Crystals this has the added interest & it is Handmade Exquisite Set! All A Grade & Material are used to make this beautiful necklace Whatever you are looking for Material used for Jewelry you can get it from Fashion Jewelry For Everyone Handmade Exquisite Necklace!. 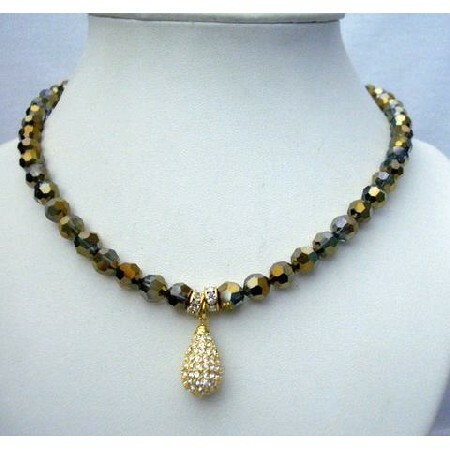 Material Used : Swarovski Dorado 8mm Round Faceted Beads with 22k Gold Plated Embedded with Cubic Zircon Tear Drop. Two Gold plated Rondells holding teardrop.